In his relatively short career, the prolific Anderson .Paak has self-published over 100 songs to market. 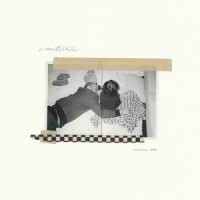 .Paak has acquired an impressive list of collaborations including acts such as Mac Miller (whose songDang! featuring .Paak was certified Gold), Chance the Rapper, Rapsody, A Tribe Called Quest, and his band The Free Nationals; a steady stream of requests to work with some of the industry’s most renowned artists, and an instant hitTil It’s Over, heard in the Spike Jonze directed commercial “Welcome Home” for Apple’s HomePod starring FKA Twigs. In 2018, his monster single “Bubblin” saw a Jimmy Kimmel Live! Performance and won him his first GRAMMY for Best Rap Performance in 2019. .Paak also made his debut SNL appearance performing “Tints” as well as “Who R U?” off his recent album Oxnard, his third LP and first on Dr. Dre’s Aftermath Entertainment. The album marked a career high for him debuting as the #1 Independent album in the country according to Billboard as well as debuting at #5 on the Rap chart, #6 on theHip Hop/R&B chart and #11 on the Top 200. The phenomenal album was executive produced by Dr. Dre and features the likes of hip-hop legends Kendrick Lamar, Snoop Dogg, J. Cole, Q-Tip, and Pusha T. Following the album’s release, .Paak has been on a sold-out tour in both the US and Europe, with fans anxious to see his energetic and captivating live performances. “Growing up in Oxnard gave me the grit and the church to find this voice of mine. One town over I went further and found my depth. The duality of each place inspired me greatly and from that I made two albums at the exact same time but held one back because that would have been too many songs to perform live for you all! I like ending things on an even number so welcome to ‘Ventura’”.